Terraforming Mars: The Colonies is the fourth expansion to the smash hit, Terraforming Mars, which is ranked #5 of all time on BGG. In previous expansions, we explored the other side of Mars, began work on Venus, and showed a prelude for the corporations working on the projects. Now we move to the outer solar system, including the moons of great gas giant planets and establish space stations far out there. 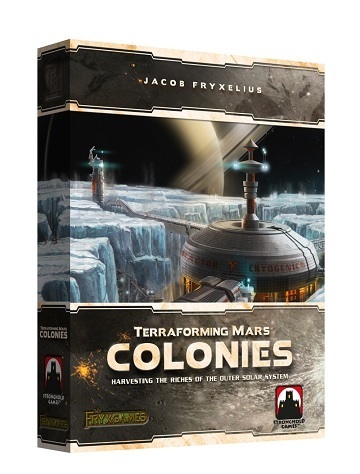 Watch the terraforming Mars in new and greater ways in Terraforming Mars: The Colonies!